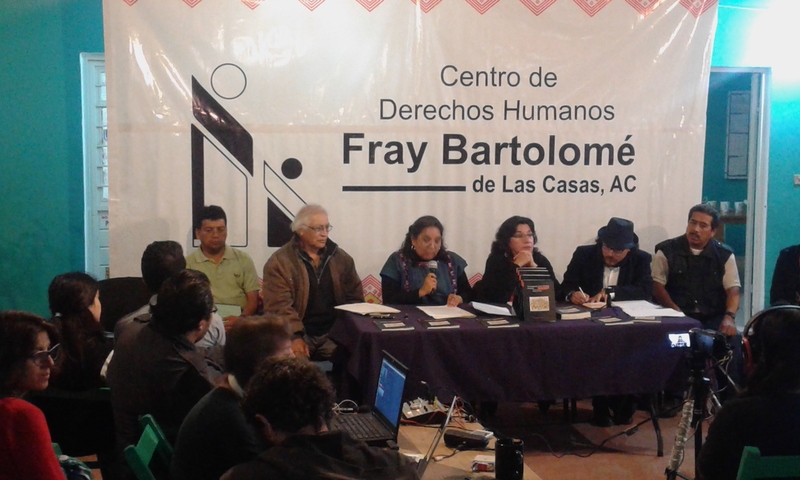 On 5 November, the Fray Bartolomé de Las Casas Center for Human Rights (CDHFBC) presented its annual report that carries the title “The Human-Rights Insurgency,” which deals with the “perspective, questions, and situations” that the CDHFBC has documented and monitored in Chiapas from March 2014 to March 2015. During the presentation of the document, several members of the directive council of CDHFBC spoke, including Blanca Martínez Bustos, director of the Fray Juan de Larios Center for Human Rights; Jorge Santiago Santiago; Estela Barco Huerta, general coordinator for the Social and Economic Development of Indigenous Mexicans; and the president of the council, jtatik Raúl Vera López, bishop of Saltillo. The document proclaims the comprehensive defense of human rights that is the work of the CDHFBC. The questions it addressed include torture, impunity, defense of land and territory, as well as the ongoing war context, which in the report corresponds to four chapters: Torture, an implicit negation; A look at the cracks of impunity; War in Chiapas, territory, and peoples; and Reality of war-context. The CDHFBC expressed that torture “is engrained and generalized in the Mexican justice system, and it is not only denied but even rationalized.” From the perspective of historical memory, remembrance is the principal pillar “of the struggle of victims and their families in the cases of crimes against humanity […]. They collectively protect and transmit memory against forgetting and impunity.” With regard to the “internal armed conflict in Chiapas,” the “communities and organizational processes persist and resist in defense of their autonomy and territory amidst State policies that seek to plunder land, spirit, and culture.” Lastly, the chapter on “Reality” is dedicated to the Zapatista teacher Galeano, who was murdered on 2 May 2014 in La Realidad, official municipality of Las Margaritas, Chiapas. The report has been presented publicly at a meeting attended by members of civil organizations who shared their concerns regarding the human-rights situation in the country, as well as diplomatic representatives from the German, Dutch, Canadian, French, Swiss, Norwegian, and European Union embassies. 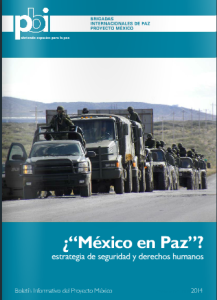 In its conclusions to the report, PBI manifests its worry for the present context of insecurity and calls on foreign governments and their diplomatic representatives in Mexico to base their relations with Mexico on the state of Mexican human-rights defenders. In this way, it also called on the Mexican State to recognize the importance and legitimacy of the work carried out by rights-defenders, to assure their physical and psychological integrity, and to implement effective measures of protection, both nationally and internationally. 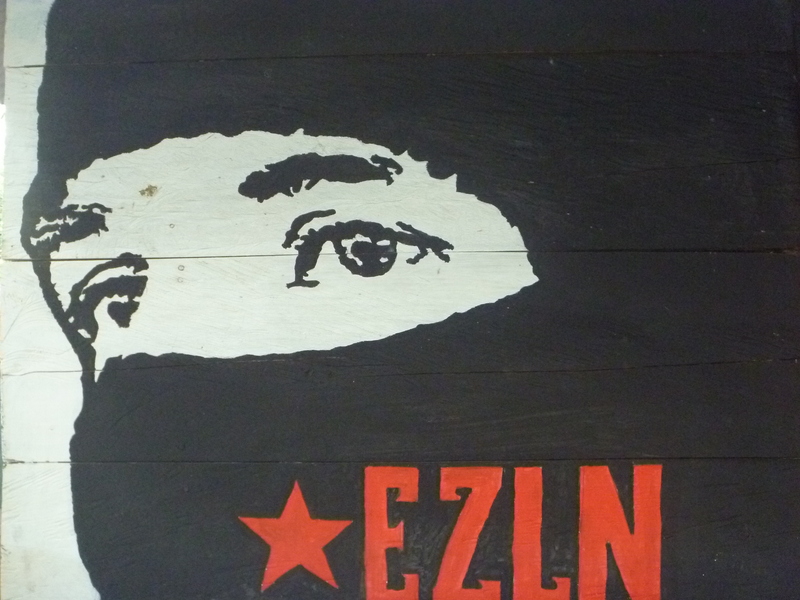 On 8 May, the Zapatista Army of National Liberation (EZLN) published a communiqué written by Subcomandante Marcos regarding the violent events which took place on 2 May in La Realidad, leaving one Zapatista dead and 15 others injured. Marcos announced that the activities planned for the end of May will be canceled, including an event in homage to Don Luis Villoro Toranzo and the “Ethics amidst looting” seminar. Marcos explains the reasons for which “the primary results of the investigation, in addition to the information is reaching us, leaves no room for doubt: […] this was not a problem of communities, in which groups confronted each other in the heat of the moment. It was a planned attack: first the provocation with the destruction of the school and the clinic, knowing that our comrades had no firearms and that they would go to defend what they had humbly raised with their efforts; afterward, the positions taken by the aggressors, foreshadowing the path they would continue to take from the caracol to the school; and then finally, the crossfire against our comrades.